The Davidson Wildcats are confident heading into the 2017-18 season, even with Jack Gibbs no longer there to lead them. With six seniors returning and a young core oozing with potential, Davidson plans to exceed expectations and finish near the top of the Atlantic 10. However, questions remain. After a ninth place finish last season and Gibbs no longer at the helm, Davidson will have to prove that they’ve made the necessary improvements to play effectively and efficiently as a unit. How Good can Peyton Aldridge Be? The short answer: really freaking good. Peyton Aldridge has already proven himself to be one of the best players to ever put on a Davidson uniform, and with one year left, he has the potential for a special season that carries the Wildcats to the tournament. But Aldridge was also great the last two seasons, and both years the team failed to make the NCAA tournament. No matter what happens, Aldridge cannot win every game by himself, but he is still so talented that the ceiling for this Davidson team depends on how exceptional he can perform. With Gibbs gone, every defense Davidson encounters will focus on Aldridge. Thankfully for the Wildcats, Aldridge is not just a scorer but also an underrated passer; Nathan Ekwu can thank him for many a wide-open dunk following a pass out of a double team. Davidson also benefits from the graduation of many of the most imposing big men in the conference. While there are still some great bigs—Justin Tillman, just to name one—it is much harder to look at rosters and find players capable of guarding Aldridge in man-to-man situations this season. He is one of the best shooters in the country and an automatic two points against smaller defenders in the post, and few A-10 teams have defenders who can counter his versatility. Will Others Step Up on Offense? Like I said earlier, Aldridge can’t do it alone; even with Gibbs playing alongside him, the Wildcats finished ninth in the A-10 last season. This year, it will be up to everyone else to step up and make shots at a high rate if the team wants to reach its potential. Historically, Davidson is loaded with shooters and one of the most efficient teams in the country. Per Kenpom, in 2015, the school had the ninth most efficient offense in the country at 119.7 points per 100 possessions. Last season, Davidson was 103rd, scoring just 108.4 points per 100 possessions. Davidson’s offense lends itself to getting players open shots, but in order to raise their efficiency, individual players other than Aldridge will need to step up and make those shots when their opportunities come. The Wildcats will count on freshman Kellan Grady to live up to the hype and knock down open looks, but as last season made clear, it takes more than two offensive weapons to be a tournament-quality team. KiShawn Pritchett, Jon Axel Gudmundsson and Dusan Kovacevic have shown flashes of being great players and have fans excited, and for good reason. However, their shooting numbers last year leave something to be desired. Bob McKillop noted the same at Davidson’s media day, stating, “I want to see production, not potential,” while discussing underclassmen. Davidson will also count on the seniors to step up their production. Will Magarity did not shoot as well from the field last season as fans hoped—although he played a pivotal role protecting the rim—and players such as Jordan Watkins and Oskar Michelsen have seen their three-point shooting numbers decline during their careers. If the older players can step up or return to form, it can improve Davidson’s offense immensely. Can Davidson’s Depth Help them Withstand Injuries? Health is a factor for every team, so Davidson is not unique in this regard. Still, it is an essential factor that can drastically alter the course of any team’s season. 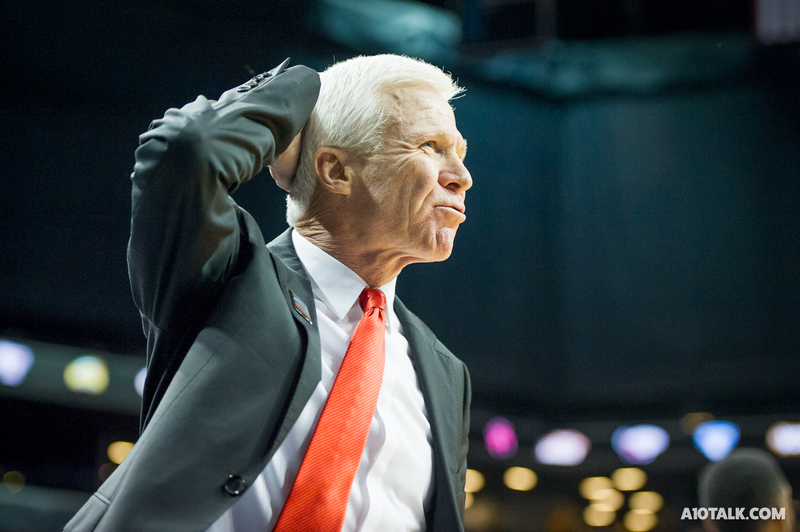 So far, staying healthy has been a struggle for Davidson. Freshman Luke Frampton was expected to come in and start right away, but he is out for the season following a preseason injury. Additionally, Nathan Ekwu and Will Magarity continue to recover from offseason knee surgeries as they fight to play early in the season. Unlike some Davidson seasons in the past, this team is built on experience and depth. While losing Frampton was a killer, the team has five other players who can fill his role in the senior and sophomore classes. Additionally, Davidson has more big man depth than recent years, with Dusan Kovacevic ready to step in and Oskar Michelsen bulked up so he can compete down low. Davidson also has more size at guard than they have historically. Gudmundsson, Grady and Pritchett all stand taller than 6’4”, and Rusty Reigel competes for rebounds like a much taller man. With Aldridge as the centerpiece of the offense, this size will allow the team to go small more often and not be as overmatched fighting for rebounds inside. Follow us on Twitter, like us on Facebook, and check out our forum for more Davidson content.